Kitchen chores like chopping, slicing and cutting turn out to be wonderful when done with handy mini appliances plus one major aid is that you can do it all in one quick motion. These tasks are tiresome even for chefs, so this idea of helper appliance is the need of time. Now food handler like choppers are becoming necessary kitchen appliance in this era of busy lifestyles to perform pre-cooking activities quickly. Numerous types and models of choppers are available in market, for diminutive jobs mini choppers are the best choice. Regarding reviews about performance and functions of choppers you can view consumer logs and reports for your best guide before considering. This food handler is really incredible for everyone whether you are experienced cook or just have started learning about how to cook. Food choppers are of two major types. Full size food choppers and mini choppers. 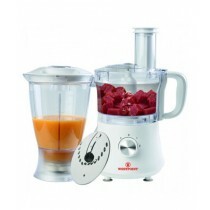 Full size choppers are versatile multi-function appliances and you can do chopping, slicing, kneading etc with them. While Mini choppers are best for mini kitchen tasks. If you take a view of market for choppers you can see countless styles, deigns, models and brands. 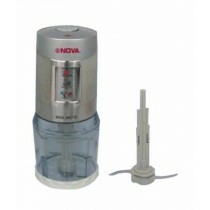 It is becoming the most rapidly growing and demanding kitchen appliance throughout the world. Here we are mentioning some very reputable brands for choppers to be considered surely without worrying. These brands include Black & Decker, Breville, Delonghi, Hamilton Beach, Kenmore, and Oster. If you take a look at our prodigious showcased assortments for kitchen appliances you will see huge number of choppers from various famous brands of the world. Subject to above stated brands we have all in our stocks, choose and get your desired chopper at lowest prices in Pakistan. Confidentially ask for your probe, we are not far away just make a call or throw an email to our inbox, we will get back to you very shortly. It is our recommendation to make your choice from our huge arrays displayed online. What we are offering is all about genuine brands with free shipment to all major and minor areas of Pakistan.